I absolutely LOOOVE food delivery companies! They are my savior. 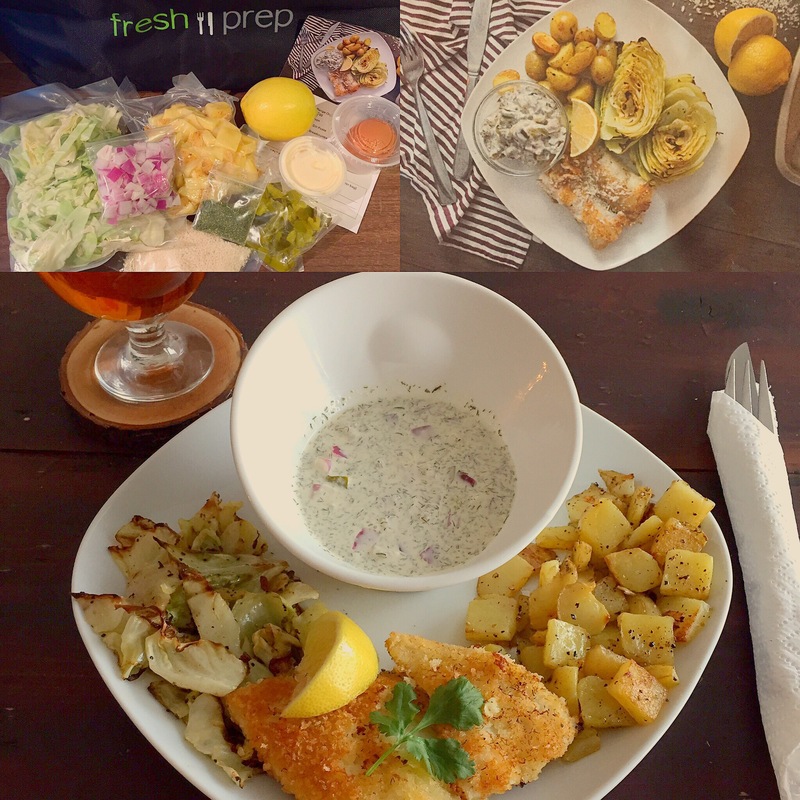 Fresh Prep is a quick and easy method to get amazing home cooked meals! The recipe ingredients are ready to go, and by ready I mean chopped, sliced, diced, minced… seriously it can’t get any easier! Their meals take 15-30 mins to mix and cook up for a better than ever meal. I love how they come in an awesome and convenient cooler bag that zips up. I have been using this for grocery shopping every time! That in itself is super awesome! Oh and the meals? Soooo amazing. They use fresh, organic, local ingredients. With little to no clean up, this is for sure the best way to go when looking for a quick and easy meal. Meals created by nutritionists and chefs that are delicious! Each month you’ll find 8 recipes to choose from, perhaps a vegan, a vegetarian, a gluten free option, so many to choose from! Pastas, soups, tacos, burgers, the options are endless! Even juices, desserts and snacks too! This meal was the Panko Crusted Cod and seriously? It was unbelievable! I had never made cod before which is why I chose this and it was absolutely delicious. Such good tartar sauce that I was literally dipping my fingers in every second tasting it as I made it. It was perfect! I think it was the dill, mayo, onion, pickle, lemon recipe that I could not resist. I can’t express how much I love finding new recipes to try and this one was so good. I’m saving it to try again for sure. The cabbage too with potatoes was a good touch. So tasty.